We are studying the Middle Ages and a recent focus was knights, castles and chivalry. The kids each made their own shield designs. 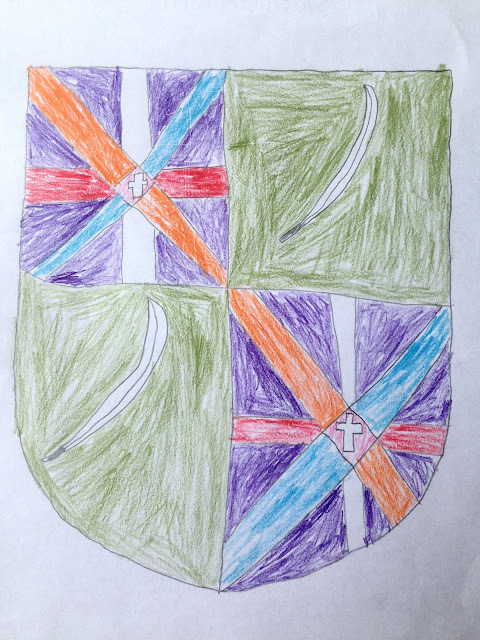 Elisabeth chose a Christian symbol to pair with a design for our surname. 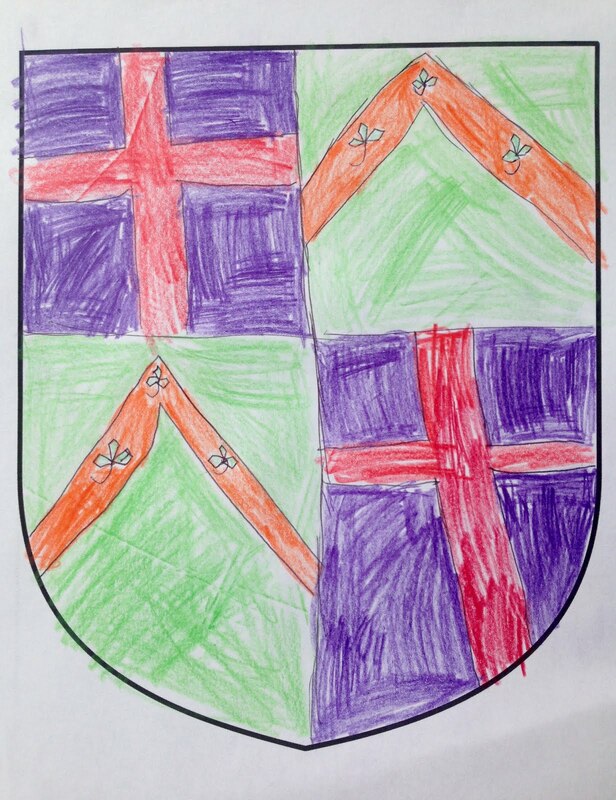 Jonah made a design for my maiden name (purple) and to pair with our surname. I thought it was interesting that they chose similar color schemes.